Health benefits of kiwi in diet. Kiwi is less popular in Asian countries. Though it’s gaining importance in recent years and spreading its health benefits among people. The availability of kiwi is only in winters. Many people do not dare to buy even 1 piece of kiwi because of its high expense. It is an expensive fruit so many of them do not wish to try this new fruit and upgrade their nutrition. Many of them are still not aware of how exactly it tastes and looks. It is one of the exotic fruit we have. It is China’s national fruit. It has great importance due to its nutritional properties and content. High Fiber: Kiwi provides 16% of the RDA for fiber and has a role in the prevention of constipation and some cancers. Phytonutrients: Kiwis have phytonutrients, which repair DNA, act as the body’s protection against some cancers, and function as antioxidants. Learn more about phytonutrients plant powers. HELPS IN PREVENTING LUNG AND RESPIRATORY DISEASES: There are studies which show that it helps in treating lung and respiratory disorders. This is seen because of the high vitamin C content of the fruit. FIGHTS AGAINST CARDIOVASCULAR DISEASE: Kiwi prevents platelet aggregation and thereby has aspirin like effect but not accompanied by inflammation and GI bleed as seen in aspirin. It’s high fiber property prevents a buildup of deposits and plaques in the arterial walls, consequently, guarding against cardiovascular diseases. FIGHTS CANCER: Kiwi contains a variety of flavonoids and carotenoids which have antioxidant activity. These phytonutrients are responsible for protecting your DNA from oxidative damage. By preventing DNA from being damaged, cancer growth is inhibited and prevented. MAINTAINS DIGESTIVE HEALTH: Kiwi is very high in fiber thereby help to prevent constipation and other GI related health problems. Fiber helps keep your digestive health in check and is good for binding and removing toxins from the colon, which is helpful for preventing colon cancer. PROTECTION FOR EYES: Kiwi is a good source of lutein and zeaxanthin, natural chemicals found in the human eye. A study published in the June 2004 issue of the Archives of Opthamology indicates that eating 3 or more servings of fruit (including kiwi) per day may lower your risk of age-related macular degeneration (ARMD), which is the primary cause of vision loss in older adults. REGULATES BLOOD PRESSURE: It is a very rich source of potassium. Potassium plays a major role in body. It helps in maintaining sodium potassium balance and thereby controls blood pressure. SKIN HEALTH: Kiwi is a good source of vitamin E, an antioxidant that can help to keep your skin glowing, smooth and hydrated. 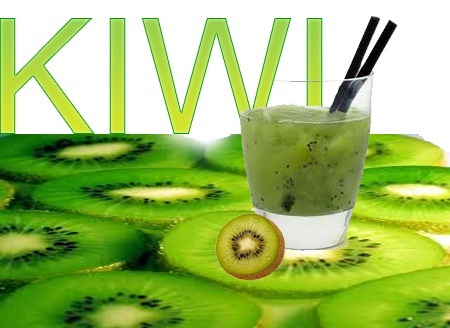 IMMUNITY: Kiwi is very high in vitamin C hence it helps in building up immunity. AGAINST IMPOTENCY IN MALES: It contains the amino acid arginine, a well-known vasodilator that has been used to treat impotence in men. 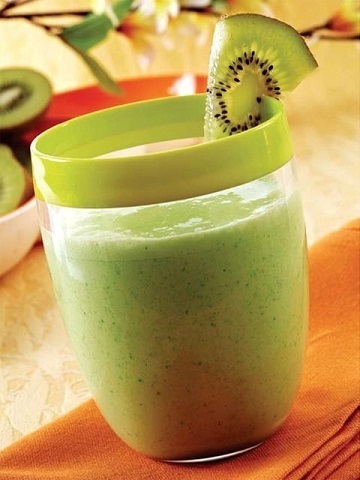 HEALTHY BABY: Kiwi is high in folate which is one of the essential nutrient requirements during pregnancy. Folate helps to develop the blood cells for the baby in the womb. Nutritional benefits of kiwi cannot be ignored. So include it in your diet today. 10 Health Benefits of Brussels Sprouts Health Benefits Of Potatoes. Health benefits of Buckwheat.